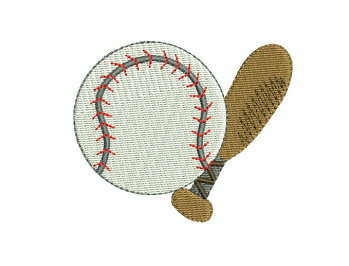 Baseball & Bat - 4x4 - $4.99 : Fancy Fonts Embroidery, Home of the ORIGINAL Trendy Dots Font! The perfect touch on any project for your sports fan, including clothing and home decor! Design Size: 3.10 x 2.52"